It’s not every day you get to work with a band that you’ve idolized since childhood! 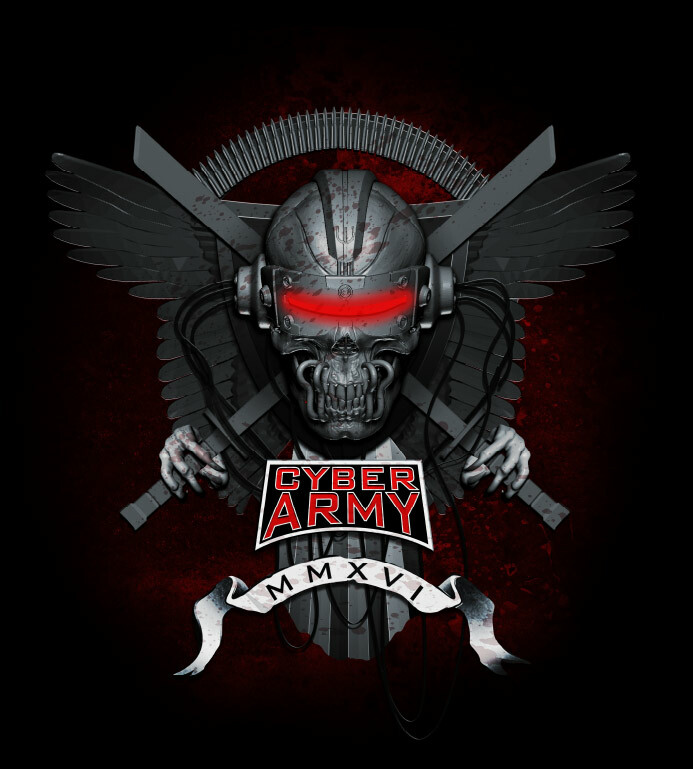 Having entered and won an artwork contest, I was introduced to their management was given the opportunity to design t-shirts, collectors coins and print material. Their band artwork has been a huge influence over my design sense and to be one of the few lucky artists to have worked with them was certainly a career highlight! The entry that won me 1st place globally in the annual Christmas Card Contest. 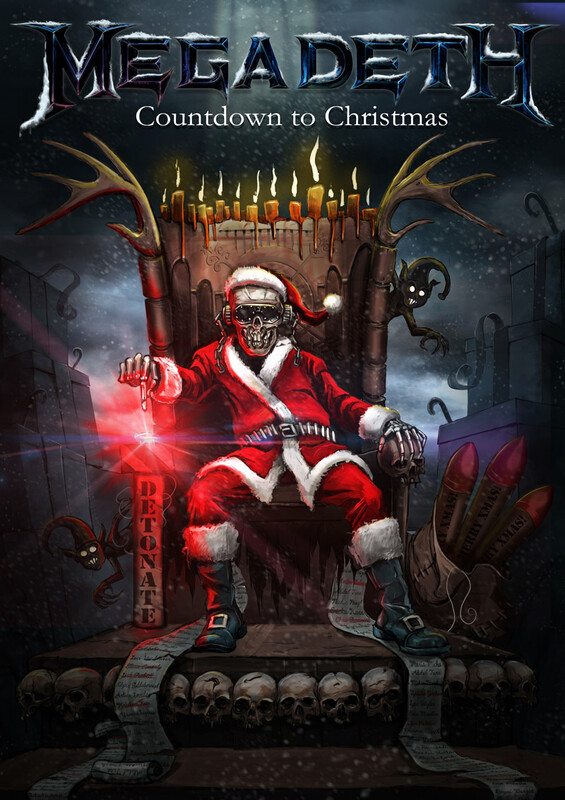 Prizes included a signed Flying V guitar, meet and greet with the band and the opportunity to design their fan club artwork for 2016. First entry that landed 4th place, globally. 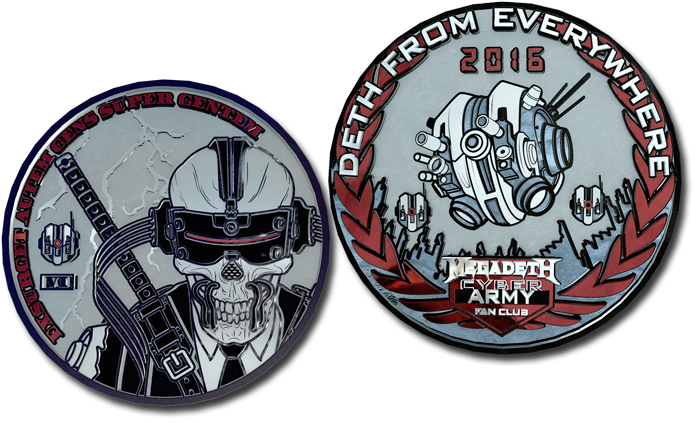 Annual collectors coin design for the Cyber Army that was sent off to production and minted in nickel and colored gel. 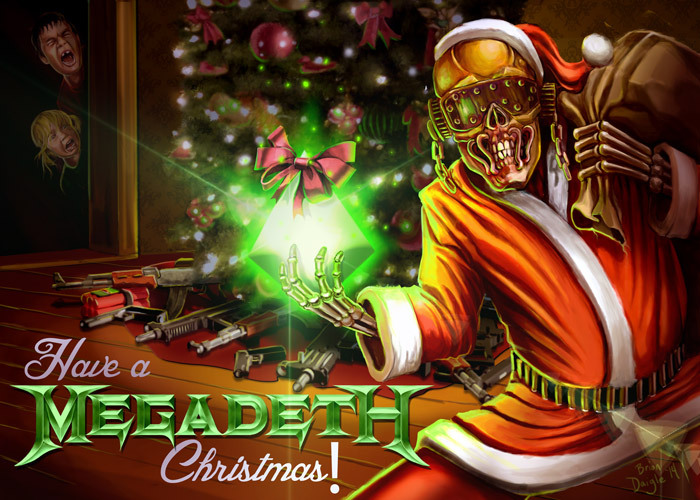 The classic Vic Rattlehead character was given a futuristic makeover for Megadeth's Grammy-Award winning Dystopia album. 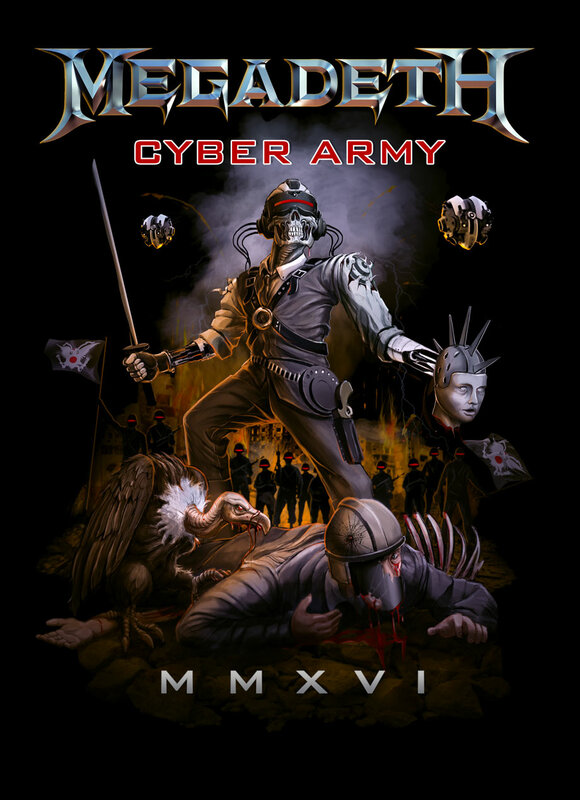 The Backstage passes, sticker and lanyard graphics were designed using 3D software and vector art to fit the new album artwork but retain look and feel of classic Cyber Army pieces. 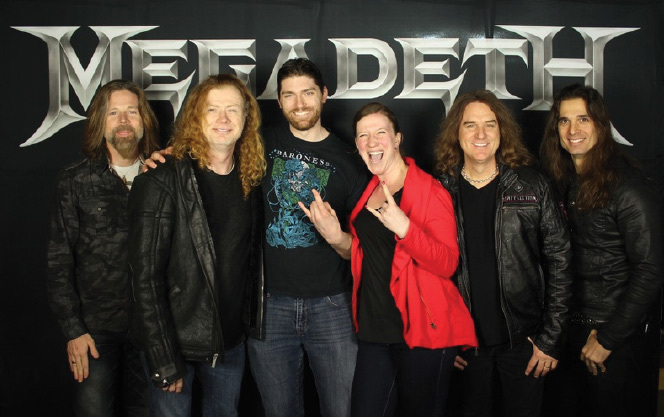 This flying V, the chance for me and the wife to hang with Megadeth, designing artwork for a band that's been a huge influence on me and most importantly - bragging rights! Such a great experience!